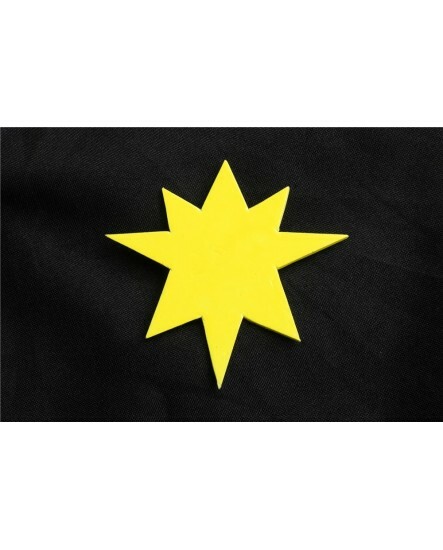 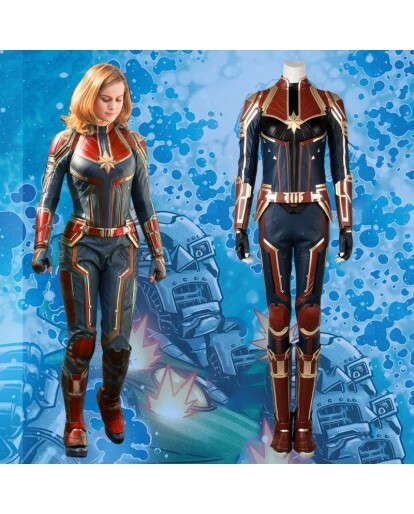 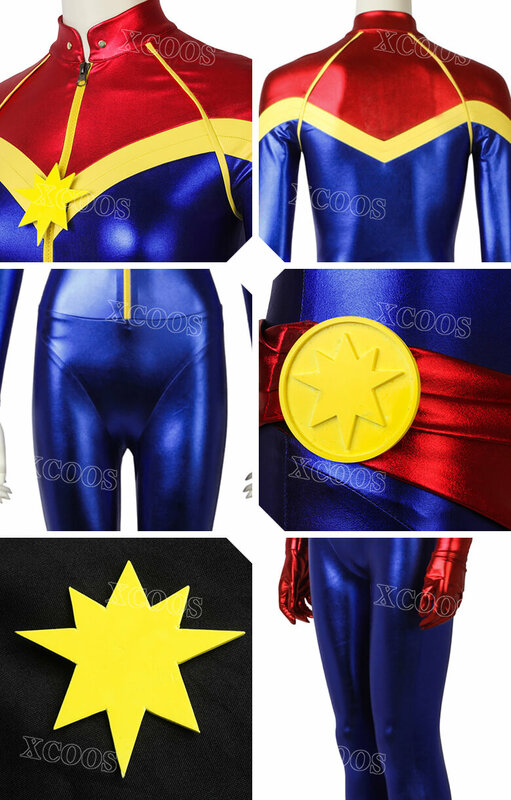 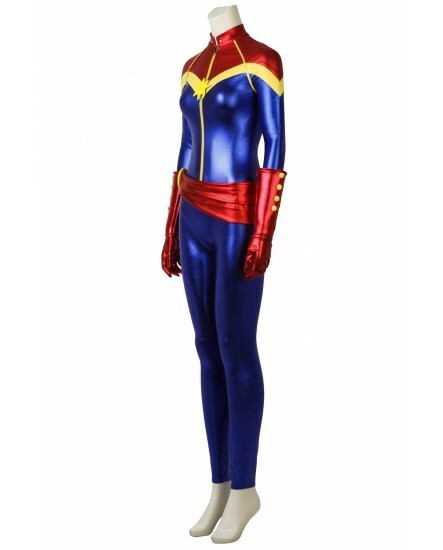 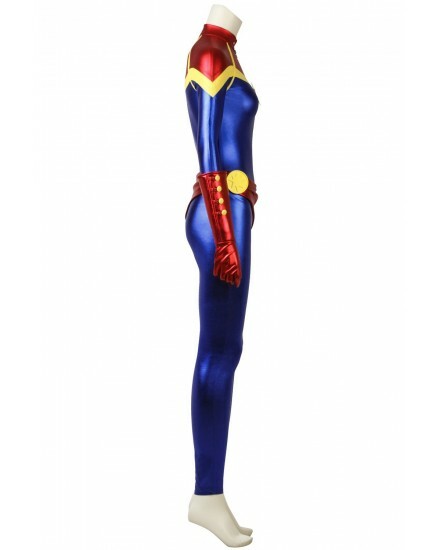 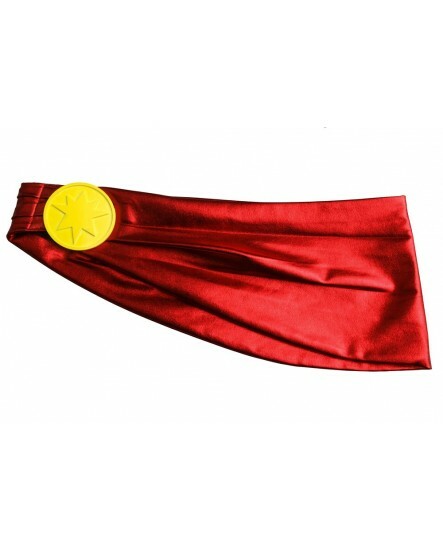 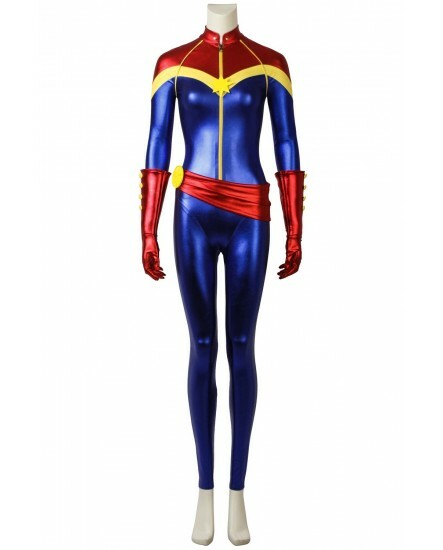 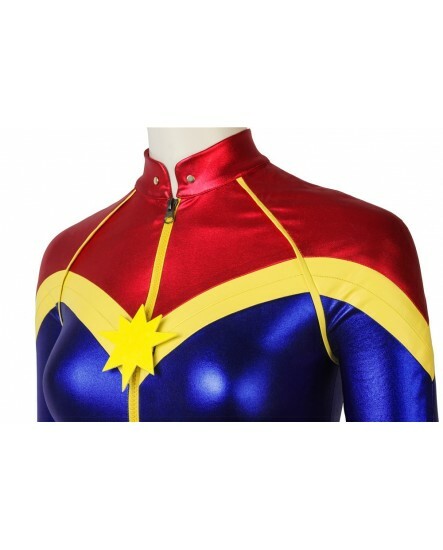 Xcoos provides with high quality Ms. Marvel Captain Marvel Carol Danvers Cosplay Costume.Carol Danvers has been labeled "Marvel's biggest female hero ",being the most popular character in this movie,there is no doubt that many female are eager to dress as Captain Marvel , so if you need custom made ,just feel free to contact us.Our costumes are always at a reasonable price. 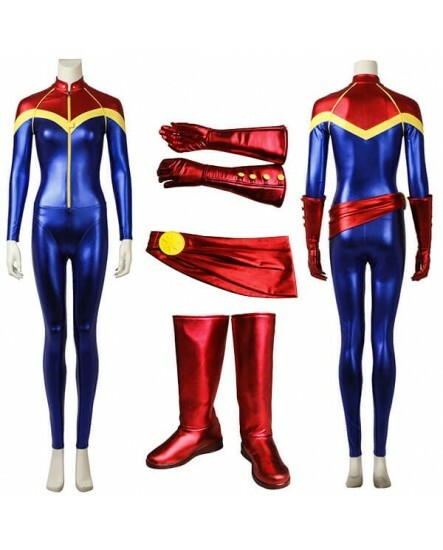 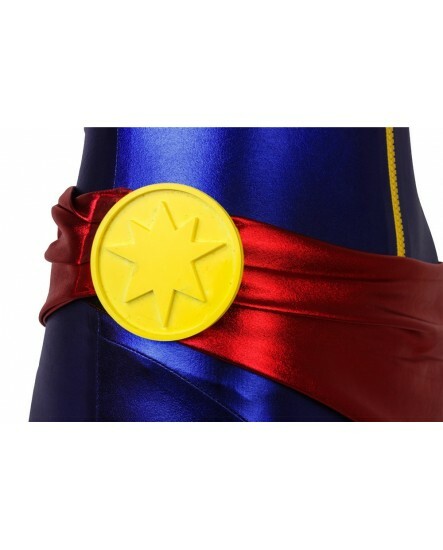 This Ms. Marvel Captain Marvel Carol Danvers Cosplay Costume set includes jumpsuit, belt, and gloves, which is made of spandex.It wears soft and comfortable, you can make a big action with it since this costume has much stretch. 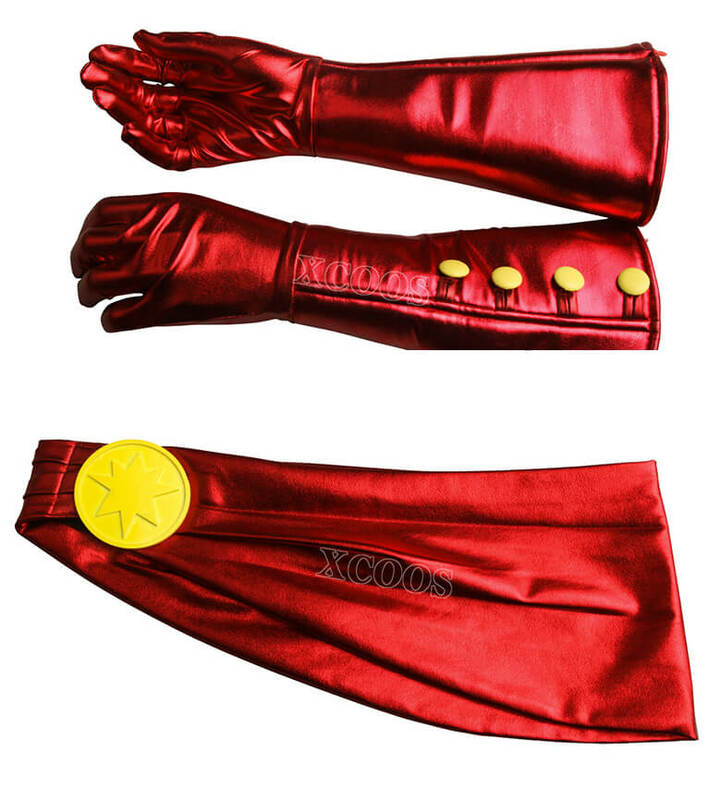 Friendly note :Do not wash it in warm or hot water as hot water will damage them. 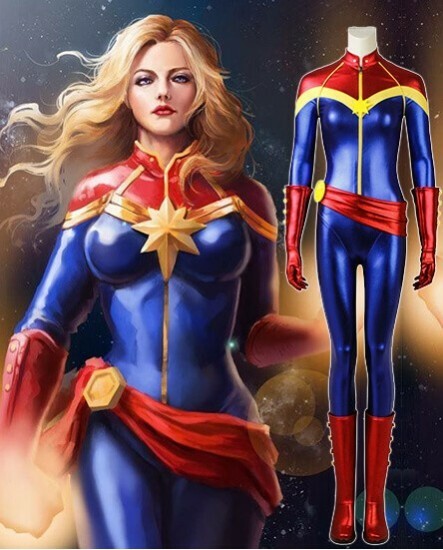 This costume is good quality! 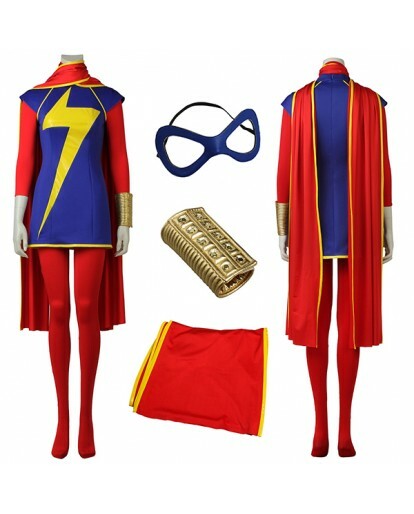 Comes with red sash and captain marvel medallion. 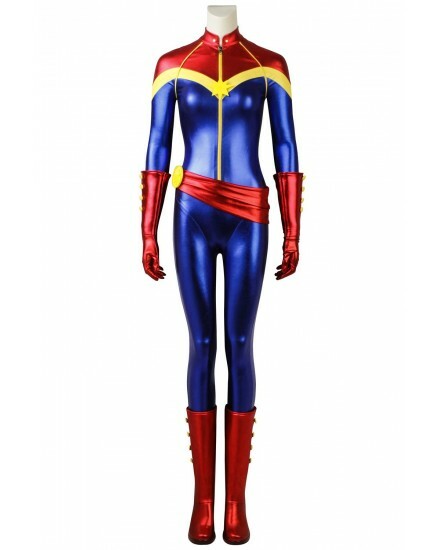 I'm normally a medium and I bought large as I do with all Halloween costumes and the large fit me great. 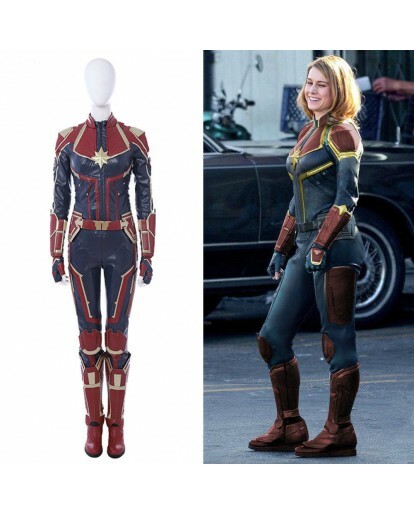 The zipper is in the back which should be fun when I have to go to the bathroom. 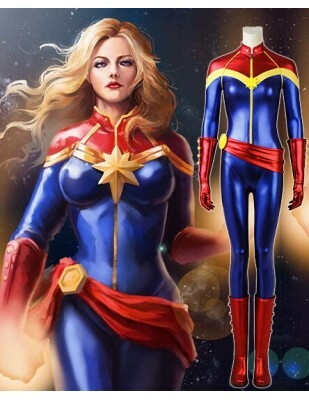 Overall it is a good costume and I would recommend it to others.